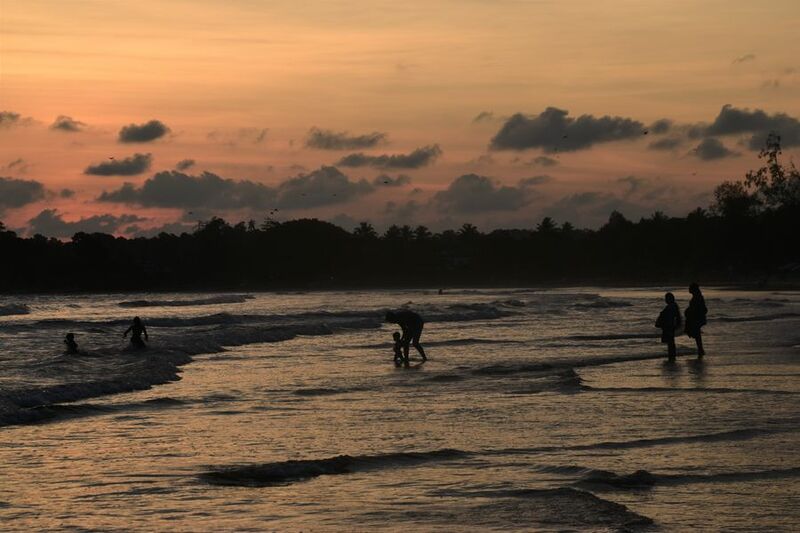 Spending a month in Sri Lanka meant visiting as many different beaches as possible. You know I am a beach bum, right? The more I travel, the more time I spend on beaches. 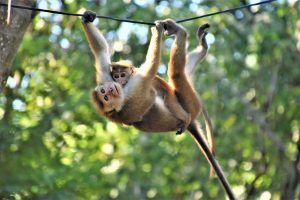 Maybe I am getting more lazy, or I’ve just realized I should slow down and enjoy traveling more instead of rushing from one place to another like crazy. And beaches make me breathe in and out, sunbathe, swim, chill and forget about work for a bit. The whole 4 weeks I spent in Sri Lanka were just in Southern Sri Lanka, mostly South West and South. I prefered to get to know the place better and have time to taste the local cuisine. 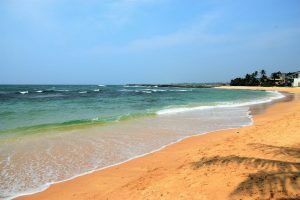 I had enough time to compare some beaches and put up a list of 10 best beaches in Southern Sri Lanka. I try to mention both pros and cons of each beach from my point of view. Mirissa beach was the last beach I’ve been on during 4 weeks in Sri Lanka, yet it became my very favorite; and not only because I finally had time to relax after busy weeks of online work and trips around the country. Mirissa beach has many advantages. The biggest one for me was that there’s palm trees offering shade where you can hide at lunch time so no need to pay for sunbeds if the sun is too strong. There’s also an elder guy selling coconuts for a good price at one of the restaurants in the middle of the beach. Along the beach you can find many restaurants and hotels, and just next to the beach along the main road also many souvenir and cloth shops. 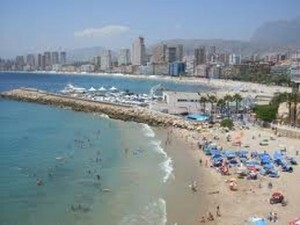 The main beach is pretty long so it does not feel overcrowded. Northern part of the beach has bigger waves and it’s better for surfing. The Southern part has waves too but there’s no surfers so you can dip in the Ocean. You can climb up the island in front to get views of the beach. 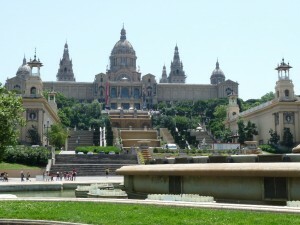 Many solo tourists, couples, groups of friends, even some families – a good mix of people. No annoying sand flies on the beach. If you get bored on the main beach, you can go for a walk to the left (South) to visit 2 smaller bays up to the viewpoint with tall palm trees you might have seen on many Instagram photos. And what I did not like about Mirissa beach? When I was there the first week of December 2018, the waves were big but usually kind of ok but one day they smashed me hard. Since then I started going into the Ocean more to the South, just on the left side of the little island that’s in front of the beach. The waves did not let me go for a proper swim. I could only dip into the Ocean for a few minutes, cool down and then go back to lie down on my sarong on the beach. Hikkaduwa beach was the first beach I visited. In the beginning of November it was not too crowded yet and the waves were still fine. I could go for a swim as the Ocean was not too wavy. 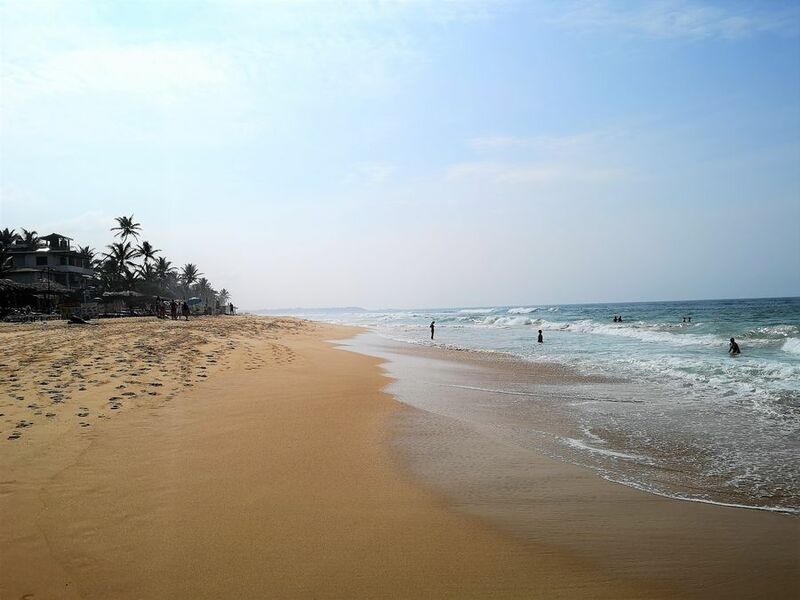 Maybe you know that in some months Hikkaduwa Beach has really big waves so in that period I would not enjoy it at all as I’m scared of waves after a couple of incidents I had in the past. But in November it was my second favorite beach after Mirissa. Why? Free shade under palm trees (no need to pay for sunbeds as on many other beaches). Many shells along the beach. Coral reefs – you can go snorkeling just a metre from the shore. 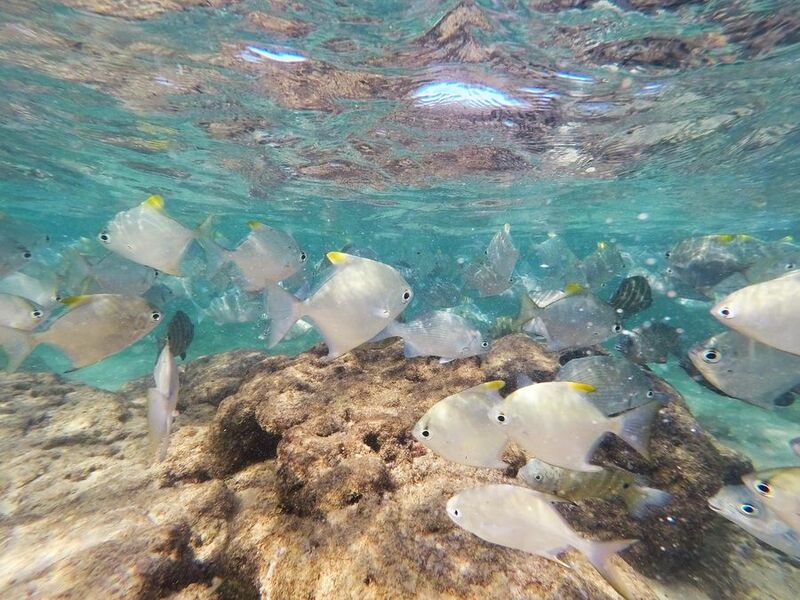 Even if you don’t have snorkel gear, or don’t want to rent one, you will see a lot of fish just standing next to the coral reef. No sand flies when I was there. Wild turtles 🙂 There’s up to 5 turtles swimming every day to the end of the Hikkaduwa beach in front of the Hikka Tranz by Cinnamon hotel. People feed them (which I don’t agree with) but it makes the turtles come over every day. The water is shallow so it’s easy to take a photo there with a turtle. But please remember turtles are wild animals so try to disturb them as least as possible. ”Going snorkeling, madam?” was the most heard thing every day on the beach. Locals were trying to rent me snorkeling gear and it started bothering me after some time. Not possible to go for a very long swim because of the coral reefs and many people snorkeling around. Many street dogs at the beach. Usually they were fine until they started fighting. To the South from Hikkaduwa, towards Galle we can find a long beach with bigger waves than at the Hikkaduwa beach. 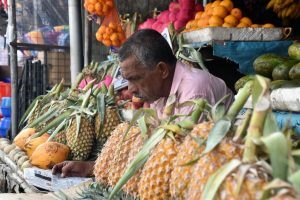 It’s possible to walk to Narigama from Hikkaduwa, and that’s exactly how I got there. 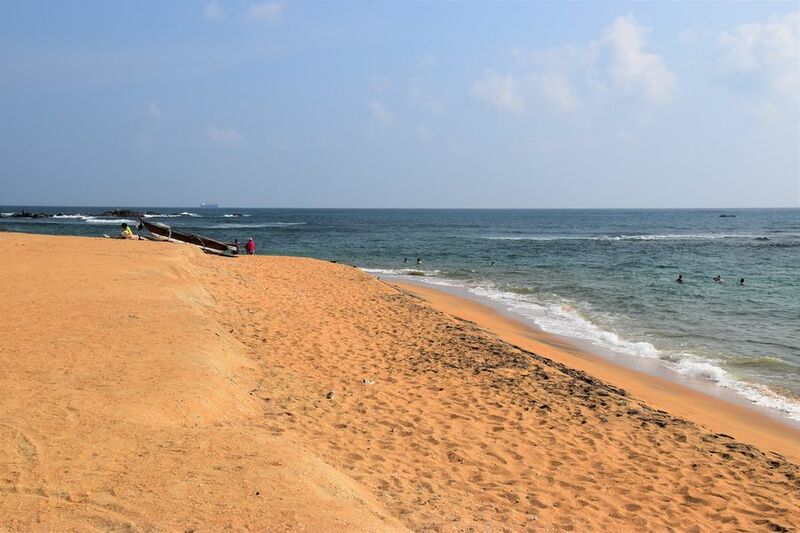 Remember that spot where you can see turtles at Hikkaduwa beach? Well, if you keep walking towards the South, you will get to the Narigama beach. Smoother sand than at Hikkaduwa beach. No coral reef – can be both an advantage or a disadvantage. Longer than Hikkaduwa beach so it’s good for walking. Big waves. Personally, I am not into big waves where I cannot swim so Hikkaduwa was better for me than Narigama (talking of when I visited in November). But I get it that some people enjoy jumping or diving into the waves, so for them this would be a good thing. I did not find palm trees with shade so if I’d like to hide in the shade, I’d need to pay for a sunbed or order a drink/meal to be able to use a sunbed. Weligama Bay is a very long beach famous for surfing. I’d say it’s mostly good for beginners and intermediate surfers but it also depends on the time of the year you visit as the waves change depending on weather. I am not a surfer and did not feel like learning to surf while I was there but even like that I still enjoyed the beach. Strolling up and down, especially after sunrise and before sunset was always the highlight for me. Great vibe full of young people, also many solo travelers. Good for surfing (not for me though). Restaurants along the beach and main road. 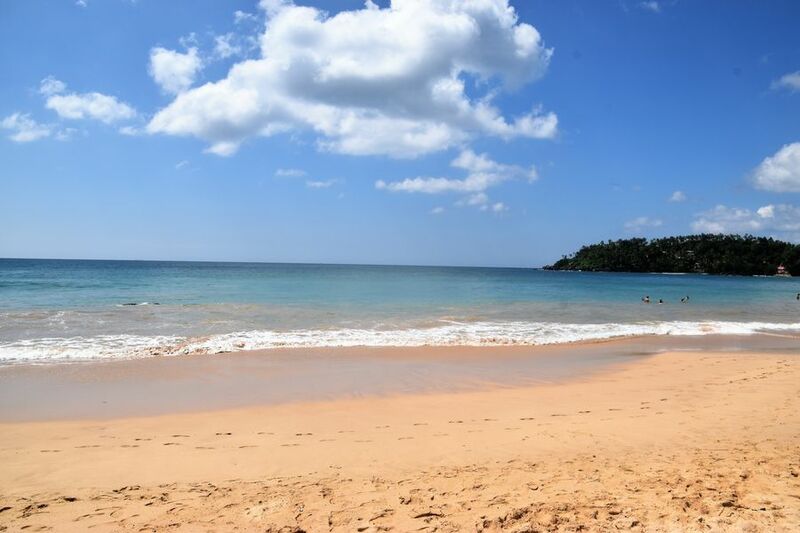 Southern part of the Weligama beach, in the direction of Mirissa where 22 Weligambay hotel is located, is more quiet and the waves are smaller compared to the Northern part. Waves too big for swimming. Almost no shade under trees. 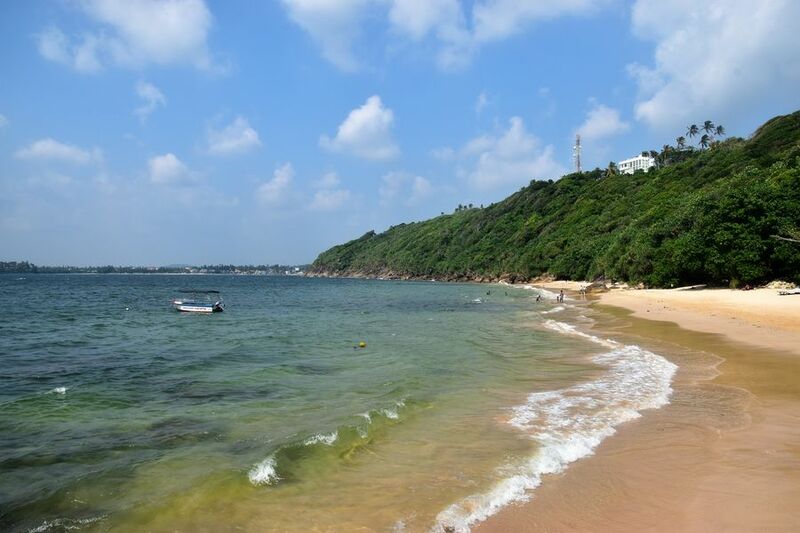 Jungle beach is situated North of Unawatuna beach, next to Rumassala. It’s called jungle because from the parking lot you need to take a jungle path down the hill through jungle. The entrance makes the beach more unique, though. Just remember you will need to climb up the path to leave, too. The beach has nice sand and a rock where everyone takes photos. I did the same, obviously. The rock, together with the jungle around, make the beach different to other beaches. There’s one restaurant on the beach (but it’s not very cheap though). There’s WC toilet next to the restaurant. We could use it for free when I was there in November 2018. 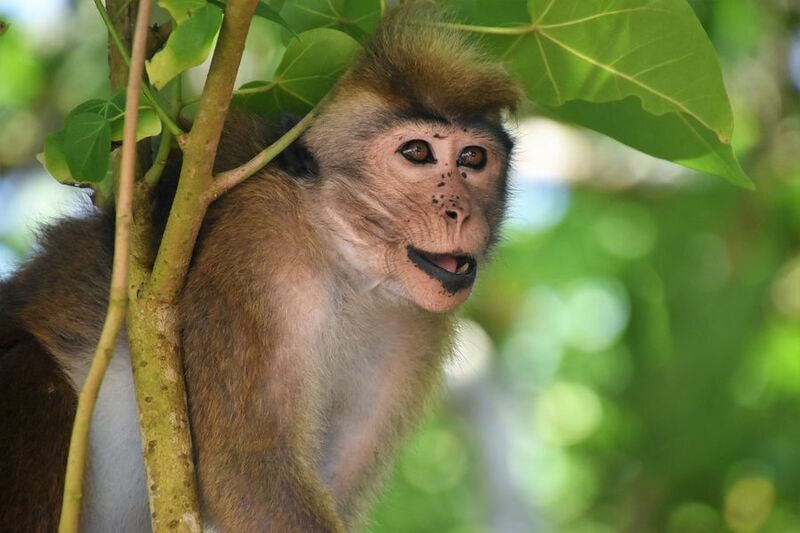 When we were leaving, we saw a monkey on our way up from the beach to the parking lot? It was a bit difficult to swim as there were rocks and corals. The view from the beach is not the nicest (you can see buildings in Galle on the horizon). A lot of rubbish and plastics just a few metres from the Ocean under the trees. Deeper water so no need to walk forever to have water up to your waist. More quiet than bigger beaches. There were maybe another 15 people when we visited. Street dogs were walking around us when we were eating (but they were not aggressive). Really strong current where the water wave breaks so please be careful. 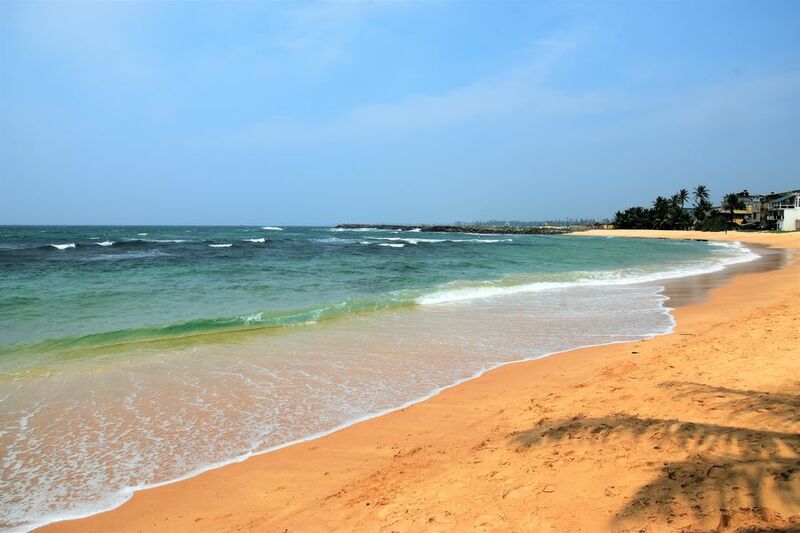 Located between Matara and Tangalle, Kudawella is a long beach where we saw no tourists but us (me and my friend). There was just a dog with its owner and his son which really surprised us. It’s quite a nice beach. 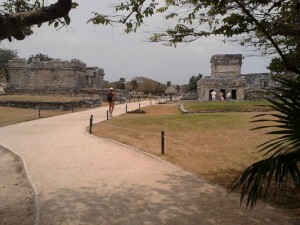 Privacy – very quiet, with almost no tourists. Very long so good for never-ending beach strolls. Waves ok for a dip. A lot of rubbish under green trees. It’s a shame that local beaches are not cleaned very often. No palm trees offering shade so nowhere to hide when it’s too hot. No sunbeds, no toilet, no restaurants nor food/drink stalls. 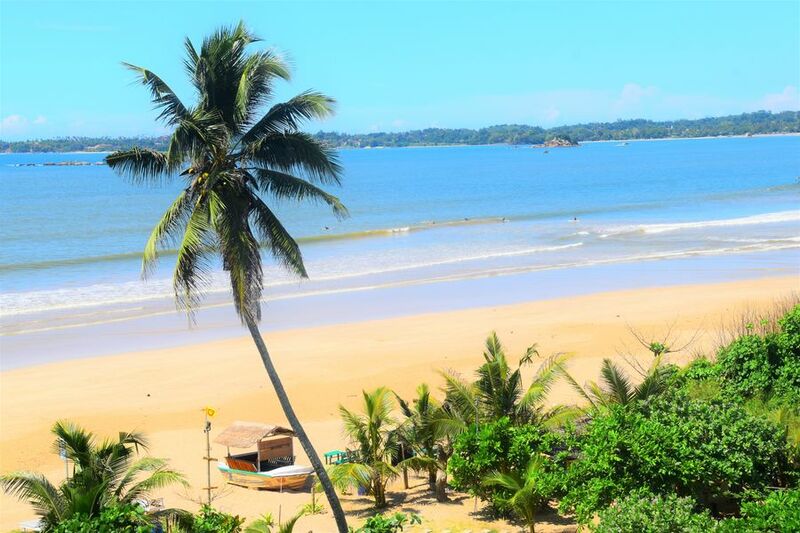 Further South from the Galle harbor you can find Dewata beach which is famous for surfing. Dewata is located a bit North from Unawatuna and Jungle beach I’ve mentioned in this article, too. It’s a bay of a normal size, not too long, nor too short, I’d say, so the waves are perfect if you want to learn how to surf. 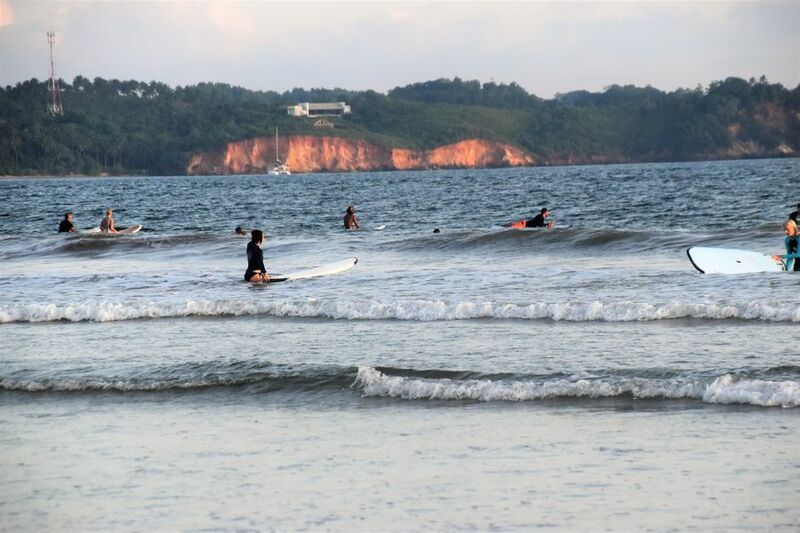 Along the beach you will find numerous surf schools. My friend tried MSP surfing school, and as it was his first surfing class ever, he booked not just the board, but also a surf instructor. I was just watching him while walking along the coast. Walking along the beach felt very cool. Some beaches have weird vibe to me but this one was not one of them. They sell coconuts on the beach. There’s also restaurants. Not the best for swimming (waves and surfers). 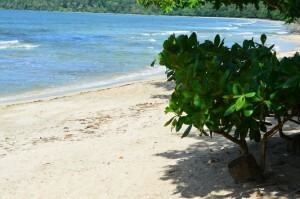 It’s one of the smallest beaches on this list. It might get boring if you had to spend a few days there. 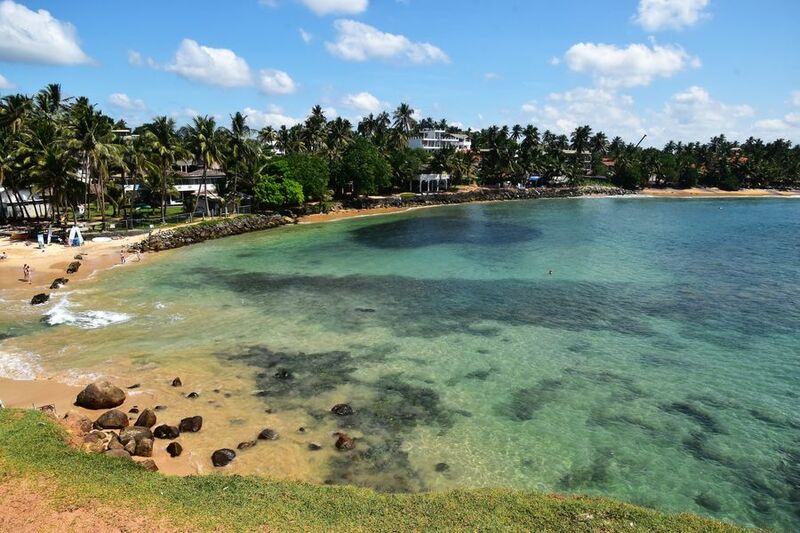 Unawatuna beach is quite a long unnatural beach where the sand was brought to. I did not really liked the surroundings to be honest. So we just spent a few minutes there to take photos and then we left. Unawatuna beach has nice sand, that’s for sure, but too many hotels and too crowded for me. And like I’ve said, the surroundings of the beach did not look very pretty to me. I can use the expression not instagrammable. If you know what I mean. 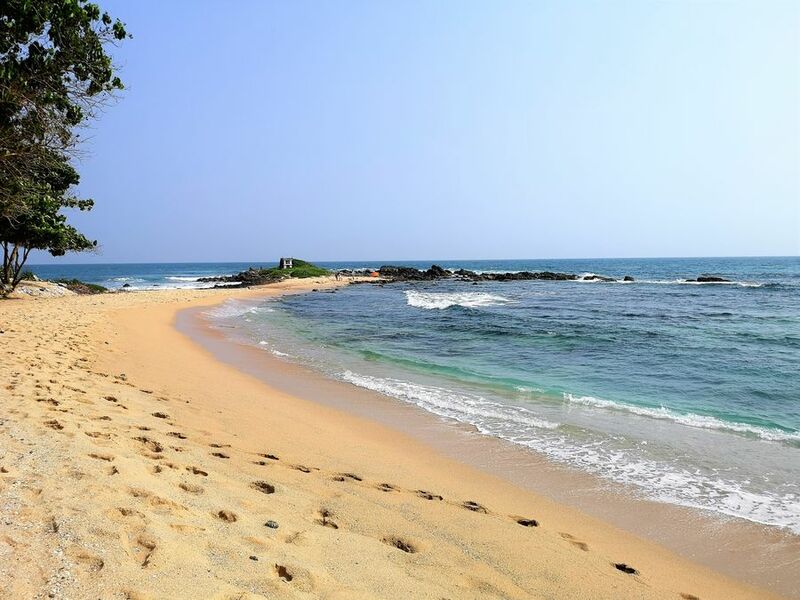 However, maybe if I stayed at a hotel there and had time to spend more time on the beach, I’d change my opinion but I liked all the other beaches I visited in Southern Sri Lanka more than Unawatuna. DOo you want a really cool beach photo? I’ve got a tip for you. Look for the beach with a perfect palm tree where everyone stops to take a photo. There’s one like that just a bit North from Galle in Boossa. They sell coconuts in a street stall just next to the palm tree so get one for even a better shot. There are a couple of ways to get to the beaches I’ve mentioned above. 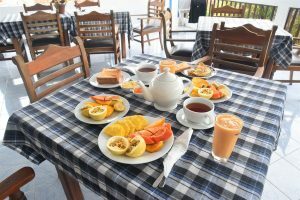 During my stay in Sri Lanka I stayed mostly 4 places overnight: Hikkaduwa, Weligama town, more South in Weligama bay at 22 Weligambay hotel, and in Mirissa. 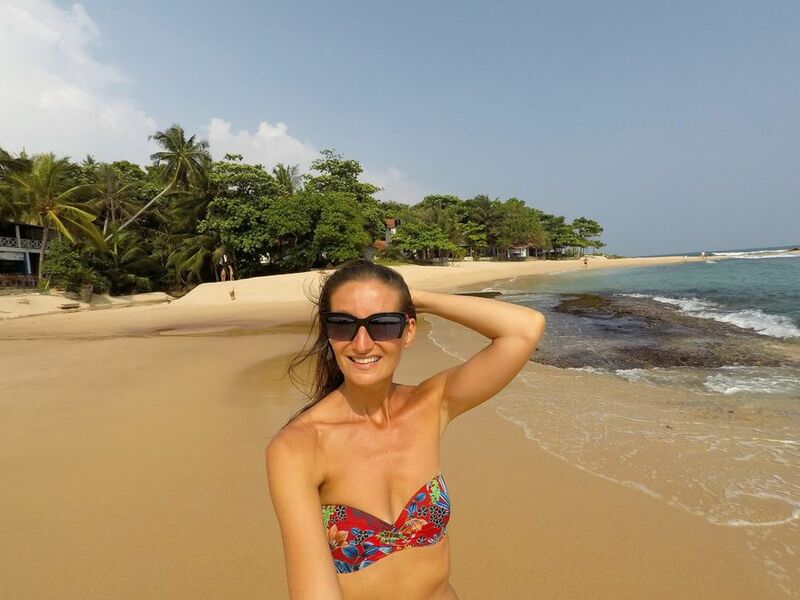 When staying at Hikkaduwa, my friends from Sri Lanka by Hanka (she speaks Czech, her husband speaks English) took me on a day trip to Jungle beach and Unawatuna. That was a personalized tour with their travel agency. Then for 2 days we rented a scooter with a friend of mine (he was riding as I don’t really ride, and definitely not on the left side as they drive in Sri Lanka). Being able to stop where and when we wanted was a huge advantage for us. It gave us a possibility to visit a few more beaches, mostly from Weligama towards Tangalle. 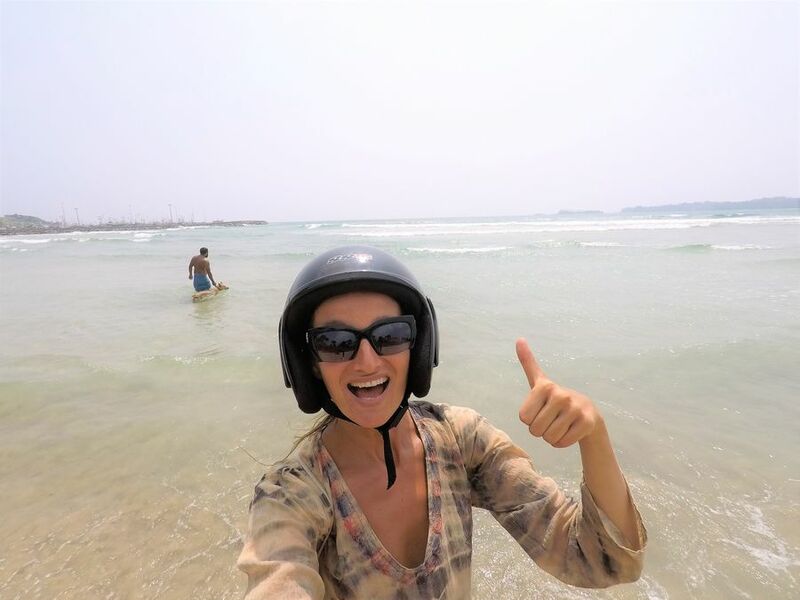 Renting a scooter is quite cheap in Sri Lanka. 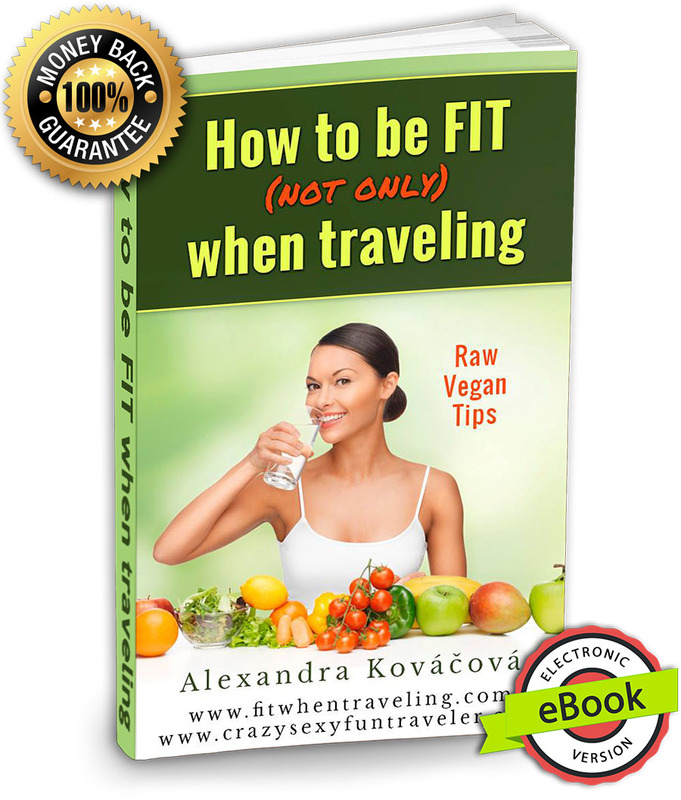 It will cost you just a few $ per day, and gas is cheaper than in Europe too. 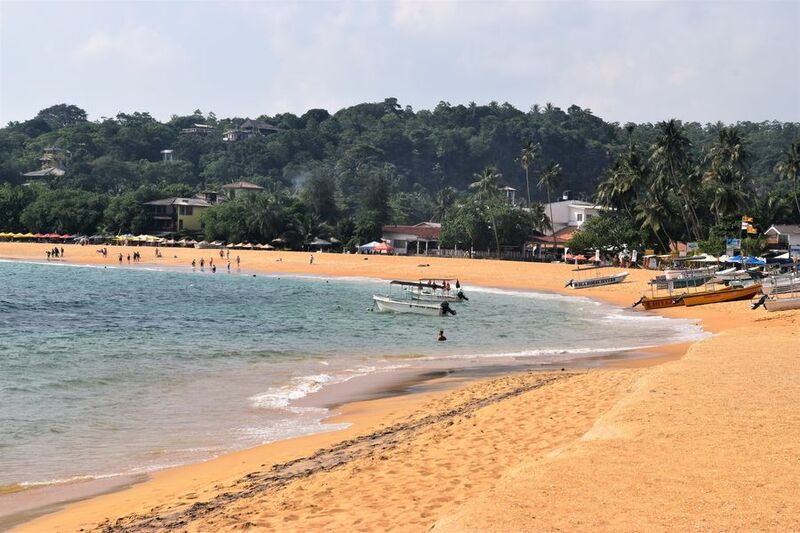 Trains and buses could take you to the more touristy towns where you could find a beach as well (for example Mirissa, Weligama, Hikkaduwa etc.) 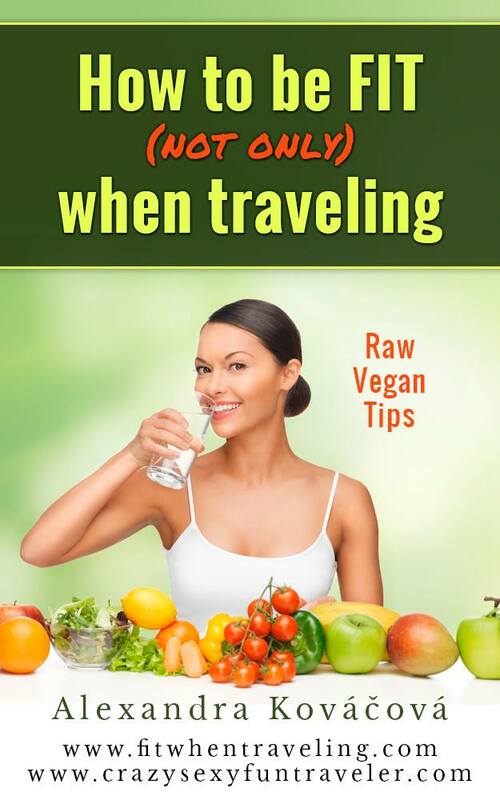 Both buses and trains cost close to nothing so if you are traveling on a budget, it would be the best. Tuk tuks and taxis are not very expensive either so hiring a tuk tuk driver would be a good idea, too. 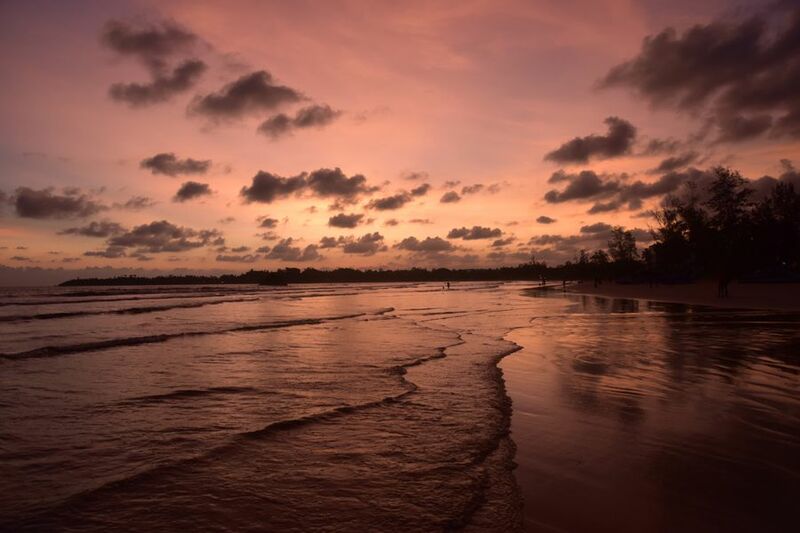 TIP: Here’s more photos I took on these Sri Lankan beaches.